Operating out of Shannon Industrial Estate, Stonehall Engineering Co. Ltd. manufactures the game-changing Stonehall Shunty truck-mounted forklift with telescopic boom. 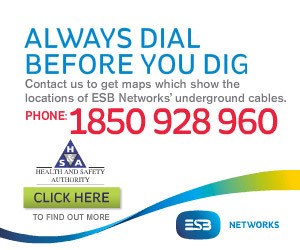 We travelled to their state-of-the-art manufacturing facility in County Clare and met up with founder Jim McInerney to discuss this unique application as well as the range of products and services provided by his outstanding family-run operation to the mining industry. Stonehall Engineering Co. Ltd. is a wholly-owned, family-run Irish firm, operating from a very modern office and factory complex in Smithstown Industrial Estate, Shannon, County Clare. The company is synonymous with the industry-leading Stonehall Shunty truck-mounted forklift with telescopic boom, which has been sold to customers across the globe over the past two decades. 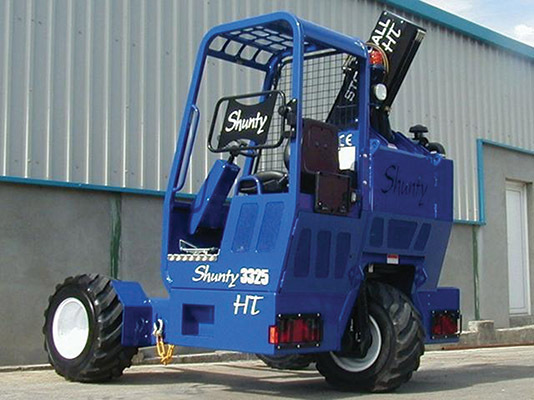 With literally thousands of hours of research having gone into the development of the Shunty series - with its patented telescopic boom configuration - as well as an inordinate amount of customer feedback, it is widely regarded worldwide as the most reliable, user friendly, and practical truck-mounted forklift available. The innovative, highly-versatile Stonehall Shunty provides one of the lightest one-side, off-loading solutions in its capacity class as standard; eliminates the maintenance hassles associated with mast rollers and chains; provides superior load handling visibility over conventional masted truck mounted forklifts; and offers a comparatively low total cost of ownership in its capacity class. A number of standard features distinguish the Stonehall Shunty from the competition, including the ability to reach across a trailer to load or pick up a pallet; the full free lift capability; and superior operator visibility when handling a load. With single and all-wheel drive models available and carrying capacity of up to 3000 kg (6600 lb), there is a Shunty to suit every specific need. Stonehall began its existence in 1969 and was incorporated in 1970 to cater for the need of an expanding Irish industry where specialised labour equipment and machinery was required. Stonehall Engineering Co. Ltd. boasts decades of experience in the design, development and manufacture of a wide range of equipment, including airport ground support equipment, rock mining equipment, utility vehicles, self-propelled off-road vehicles, scissors lifts, telegraphic transmission ironwork, transporters for both telegraphic and electrical equipment, railroad engineering assembly and component parts and, of course, the Shunty truck-mounted forklift with telescopic boom. The company has a fully-equipped manufacturing facility where it designs and develops all its own tools and equipment utilising the latest computer-aided design and analysis applications. This state-of-the-art facility enables Stonehall to produce a wide range of products specific to customer requirements. Stonehall boasts over four decades of experience in manufacturing special purpose machines and vehicles. Always conscious of customer needs, it had built its reputation on designing and manufacturing high-quality, job-specific machinery at affordable prices. Founder and recently-retired managing director Jim McInerney, who oversaw the development of the family business over the decades, has every reason to be proud as he reflects on the genesis of this wonderful success story: “We were one of the primary companies that was set up in Shannon Industrial Estate with the help of the IDA in 1970 to manufacture goods as import substitution. We then got into the mining industry and became one of the sole suppliers of consumerables for that industry, including safety equipment like rock bolts and supports and chains etc. “We were the only company in Ireland manufacturing rock support equipment - supplying the mine industry is still our main line of work today. It was almost exactly 20 years ago that the world-renowned Stonehall Shunty was conceived. “We started to develop the Shunty range in 1995 and spent seven years developing it. We were the first in Ireland to produce a telescopic boom truck-mounted forklift and it was much better than the standard masted machines. We’ve been producing them since ’97 and have successfully sold them into various markets all over the world. “Competition was fierce and, even though we had an excellent product, we found it difficult to compete with major competitors, who controlled the industry. We didn’t have the same resources and didn’t get any subsidies. The Stonehall Shunty is a maintenance-free product with an exceptional reputation. In conjunction with input from customers around the globe, Stonehall Engineering continues to effect minor tweaks and improvements even to this day. “We supply Europe, Australia, America and Canada. At times, we have to refuse some orders because we could be over capacity. Recently retired but still involved in the business in an advisory capacity, Jim is joined in the running of Stonehall Engineering by wife Ann and children Chris and Linda. “We have a crew of ten people, with the production line having been streamlined,” he notes. Jim is proud that the Stonehall Shunty can be found today in all corners of the planet. “Yeah, you’d find them on HGVs all over the world,” he concludes. The Stonehall Shunty is a wonderful innovation which continues to stand the test of time; a lasting legacy for which Jim and his company will forever be recognised. Smithstown Industrial Estate, Shannon, County Clare.